AMERICANS ARE KEPT AS IN THE DARK ABOUT THE FOREIGN AID GIVEN TO ISRAEL AS THEY ARE ABOUT ISRAEL’S ROLE IN 911! Since the Jewish population is a small minority in our country, the only way this fleecing could happen is by graft and corruption – details below. BEFORE Congress votes to reduce ‘entitlements’ [which include Social Security benefits] for the whole US population, it NEEDS to eliminate the 5.5 billion dollars worth of ‘entitlements’ for apartheid Israel and their war machine! Editor’s note: All those who raise questions about Israel and Jewish influence (American Israeli Public Affairs Committee) in our country can no longer afford to be intimidated by being called ‘anti-semitic’. Such nonsensical name-calling has silenced too many good people for too long – and it is just a “trick”! Among them are Hadassah, the Zionist women’s organization, which organizes a steady stream of American Jewish visitors to Israel; the American Jewish Congress, which mobilizes support for Israel among members of the traditionally left-of-center Jewish mainstream; and the American Jewish Committee, which plays the same role within the growing middle-of-the-road and right-of-center Jewish community. The American Jewish Committee also publishes Commentary,one of the Israel lobby’s principal national publications. Perhaps the most controversial of these groups is B’nai B’rith’s Anti-Defamation League. Its original highly commendable purpose was to protect the civil rights of American Jews. Over the past generation, however, the ADL has regressed into a conspiratorial and, with a $45 million budget, extremely well-funded hate group. Not surprisingly, a defecting employee revealed in an article he published in the Washington Report on Middle East Affairs that AIPAC, too, has such “enemies” files. They are compiled for use by pro-Israel journalists like Steven Emerson and other so-called “terrorism experts,” and also by professional, academic or journalistic rivals of the persons described for use in black-listing, defaming, or denouncing them. What is never revealed is that AIPAC’s “opposition research” department, under the supervision of Michael Lewis, son of famed Princeton University Orientalist Bernard Lewis, is the source of this defamatory material. In fact, the congressmembers know it when they list the contributions they receive on the campaign statements they have to prepare for the Federal Election Commission. But their constituents don’t know this when they read these statements. So just as no other special interest can put so much “hard money” into any candidate’s election campaign as can the Israel lobby, no other special interest has gone to such elaborate lengths to hide its tracks. By far the largest component of German aid has been in the form of restitution payments to victims of Nazi attrocities. But there also has been extensive German military assistance to Israel during and since the Gulf war, and a variety of German educational and research grants go to Israeli institutions. The total of German assistance in all of these categories to the Israeli government, Israeli individuals and Israeli private institutions has been some $31 billion or $5,345 per capita, bringing the per capita total of U.S. and German assistance combined to almost $20,000 per Israeli. Since very little public money is spent on the more than 20 percent of Israeli citizens who are Muslim or Christian, the actual per capita benefits received by Israel’s Jewish citizens would be considerably higher. The act of giving money to the country that was responsible for the terrorist attack on New York City on Sept 11, 2001 (Missing Links: the Definitive Truth About 911) is complete insanity. 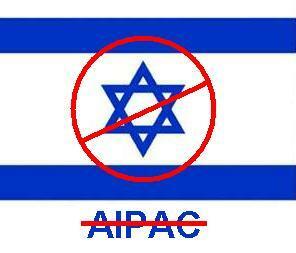 This entry was posted in corruption, Zionists and tagged AIPAC, Congress, entitlements, foreign aid, Israel. Bookmark the permalink. Hi, AL. I posted this on Facebook. Also, thanks for those links!